Sign up for e-mail updates to learn about upcoming events in the Discover Global Markets series. Enforcement of U.S. trade law is a prime focus of the Trump administration. From January 20 through October 5, 2017, the Commerce Department has initiated 65 AD and countervailing duty (CVD) investigations – a 48 percent increase from the previous year, and a 16-year peak in the number of investigations initiated in a single fiscal year. The Commerce Department currently maintains 411 AD and CVD duty orders which provide relief to American companies and industries impacted by unfair trade. Antidumping laws provide U.S. businesses and workers with an internationally accepted mechanism to seek relief from the harmful effects of dumping unfairly priced products into the United States. Held every three years in conjunction with the American Public Transportation Association’s (APTA) Annual Meeting, EXPO is public transit’s premier showcase of technology, products and services. Be at the center of the growing public transportation industry where innovation and technology converge to accelerate every mode of public transportation. The AWDA Conference brings the leading manufacturers and wholesalers of the industry together to engage in productive and profitable business and networking opportunities. Join the U.S. Commercial Service and the Intelligent Transportation Society of America for exhibits, demonstrations and industry-leading education on transformational transportation and integrated mobility. Last year’s Congress drew 11,000 participants from 70 countries. As the annual, trade-only showcase for the $356 billion automotive auto care market, the AAPEX engages more than 132,000 professionals from around the globe. The annual, trade-only SEMA Show features 2,400 exhibiting companies that offer the latest automotive specialty products related to enhancing a vehicle’s performance, appearance, safety, or comfort. Approximately 25 percent of the buyers that attend SEMA are from outside of the United States. On October 30, U.S. companies can participate in three roundtable discussions regarding SEMA’s overseas trips to China, Australia, and the Middle East, and hear tips from buyers and experienced exporters about selling to these regions. Join the U.S. Commercial Service and Advanced Business Events for the only auto supply chain event in Turkey for the automotive and aftermarket industry. AM Bursa is a unique venue for suppliers and service providers interested or doing business in Turkey to secure direct meetings with large Tier I and Tier II automotive companies. Engineering, procurement, supply chain, fabrication, commodity teams, suppliers and service providers will meet through pre-arranged one-to-one business meetings, without the distractions found at traditional exhibitions. Don’t miss out on the opportunity to participate! As the sole “trade only” recreational vehicle (RV) industry show currently held, there is no public attendance. The show provides an important marketplace for recreational vehicle dealers, owners of accessory stores and campground operators to view the products of numerous RV manufacturers and suppliers of OEM parts, services and accessories in one location. The show provides exhibitors an excellent opportunity to expand product lines into new regions, domestically and internationally; see competing products; and strengthen distribution networks. Automechanika is one of the leading international meeting places for the automotive sector. It spotlights innovations and solutions in the fields of parts, systems, tuning, workshop equipment, bodywork & paintwork, car wash, IT & management and the latest automobile services. U.S. companies can exhibit anywhere on the show floor or in the U.S. Pavilion. 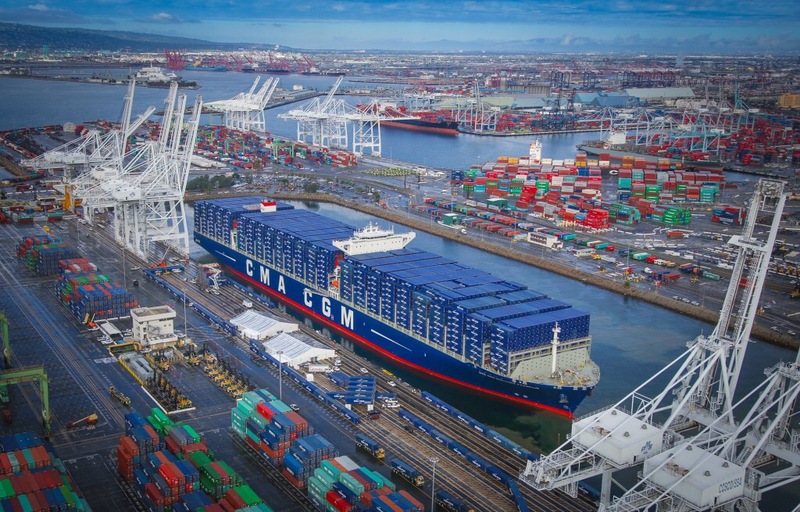 The ports of Los Angeles and Long Beach have set out aggressive near-term and long-term strategies to cut harmful air pollution from all port-related sources to ultimately achieve zero emissions for trucks and terminal equipment. In a draft document titled 2017 Clean Air Action Plan (CAAP) Update the ports revealed detailed steps to be undertaken. “These ports are going where no port has gone before,” said Port of Los Angeles Executive Director Gene Seroka. According to a preliminary analysis the cost of implementing the 2017 CAAP rages between USD 7 billion and USD 14 billion. Given the magnitude of the investment, the draft plan calls for the ports to intensify their funding advocacy and increase collaboration with their partners to finance the new strategies. The ports claim that the draft 2017 CAAP ushers in a new era of clean air strategies that seek to reduce harmful emissions from port-related sources: ships, trucks, cargo handling equipment, locomotives and harbor craft. Furthermore, the document is said to be in line with local, regional, state and federal standards and regulations, and anticipates clean air regulations under development by the California Air Resources Board. The most recent emissions inventories show the ports have surpassed the 2023 DPM and SOx reduction targets and are within striking range of the NOx target. The 2017 CAAP identifies the tougher measures needed to ratchet down harmful emissions to zero or near-zero levels, the statement further adds. The document’s release kicks off a public review and comment period that extends through Sept. 18. The Port of Los Angeles and Port of Long Beach handle approximately 40 percent of the nation’s total containerized import traffic and 25 percent of its total exports.